We were recently asked to contribute to a blog for the fabulous people over at Tucker Stone. For a (not so little) snap shot of what we said, read on! It’s a worrying fact is that most of us think we are more self-aware than we are. We can all think of people who completely lack self-awareness: that person who thinks they’re the life and soul of the party, but everyone else finds annoying or that person who thinks they’re a great manager but nobody in the team can stand working for them. But what if we are just as clueless about how other people perceive us? 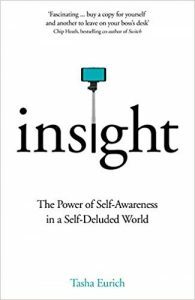 In her useful and practical book, “Insight,” psychologist Tasha Eurich highlights that there are in fact two separate skills of self-awareness, often unrelated: being good at one does not mean you are good at the other. The two aspects are internal and external self-awareness. In this post we explore what these mean, how they can help in career choices and career success and how we can develop each skill. Internal self-awareness is knowing who you really are, how you work, what helps you be at your best and what drives you mad. This means that there needs to be a general awareness of values, passions, interests and frustrations as well as a moment-by-moment awareness of how you are feeling, what is causing any emotional reactions and how you are behaving in response. What difference might this kind of awareness make to your career choices? There is no doubt that knowing what is important to you in life, your values, the kind of work you love and the kind of environments that you work well in, will help you choose roles and organisations that best suit your nature. You will enjoy the job more, stay longer, have a better impact on your team and no doubt produce better results. • What values did you grow up with? The things that guided your sense of what is important in life? Would you say you have the same values now? • Who are the people you respect most in life / work? What is it about them that earns them your respect? • What types of projects or activities do you seem to thrive on – gaining energy from the work and seeing improvement in your ability? • If you retired tomorrow, what would you miss most about your work? • What legacy would you like to leave behind? • Imagine that you are an impartial person reading your answers to the questions above. Just looking at those responses, what do you think might be a career this person would enjoy and thrive in? 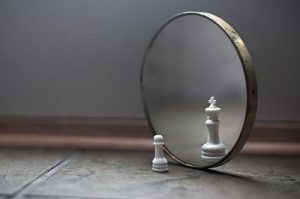 One of the myths about self-awareness is that spending a lot of time on introspection or rumination makes us self-aware. If we reflect over events, worry about what people think about us and re-live embarrassing and awkward moments, we are not growing in self-awareness, we are just cycling through emotions and thoughts that do not go anywhere. What we need instead is structured thinking about what has happened, what we have learnt and what we can do next, to ensure we gain insights and take useful action. In making career choices, this reflection is about what you want out of life. For career success, focus that reflection on your experiences, what worked well, what patterns there are and what you can do to be even more effective. Which is where an external perspective can be invaluable. External self-awareness is knowing how you are perceived by others. When you give feedback to your colleagues, are you seen as helpful or not? When you give a presentation, are you seen as professional and clear or confused and too stuck in the detail? If internal self-awareness is lacking because we think in unhelpful ways or have not considered specific questions about what we want out of life and how we get it, then sadly external awareness has double the challenge. Not only do most of us struggle to ask for feedback, accept and use it; there is also the fact that most of us do not like giving honest, constructive feedback. This means that even if you are brave and open enough to ask your colleagues how they find your management or presentation style, the chances are that they will not be honest with you. Well, not to your face anyway. To other colleagues, probably. To you through an anonymous 360 degree survey, possibly. But a direct conversation is extremely difficult for most people. So what can you do? The first trick to getting people to open up is to show you are open to challenge. Some people ask “what could I do better?” but are then not open to what comes back. The fear of hurting a person’s feelings or ending up in a conflict, can stop the other person from being honest. If you are feeling brave and up for receiving honest feedback, then go to someone you trust with something specific. Take a piece of feedback you have received before or something you are concerned about and sense-check it. Because you have already said the difficult bit about being fixed and not open to others, the other person is more likely to feel safe answering your question. Then prepare yourself to stay open, listen and thank the person for whatever they say next! Leaders who avoid asking for feedback or receive feedback and ignore it are in serious danger of delusion. The best leaders are humble, accepting that they are not perfect and looking for ways to develop. As you consider your next steps, how are you gathering feedback to understand others’ perceptions and ensure you are growing?